Coffee is a strong, bitter drink, and as such, most people either love it or hate it. Really, there’s no in-between. But did you know there may be a physiological (and genetic) reason why some enjoy coffee and others don’t? According to a new study, the way your taste buds perceive bitterness has a lot to do with it. The study, published in Nature: Scientific Reports, found that bitterness is not a universally embraced flavor. What’s more, everyone tastes it differently. And while the reasons for this difference are unknown, the more sensitive you are to coffee’s bitter flavor, the more likely you are to drink it. Of course, this makes sense. If you don’t like something, you probably won’t consume it. However, there’s more to it than that: Our like or dislike of bitterness is a trait we inherit from our parents. As such, when it comes to coffee, our enjoyment is — in large part — based on genetics. Researchers used information stored in the UK Biobank, a databank that contains blood, urine and saliva samples from more than 500,000 individuals, for the study. They also had volunteers complete health questionnaires asking a wide variety of questions about their well-being and how much coffee they drank. Much to the researchers’ surprise, people who were more sensitive to caffeine (the compound responsible for coffee’s bitterness) drank more coffee than those who were less sensitive. However, those who were sensitive to quinine and propylthiouracil — two other bitter compounds not found in coffee — tended to avoid the drink. 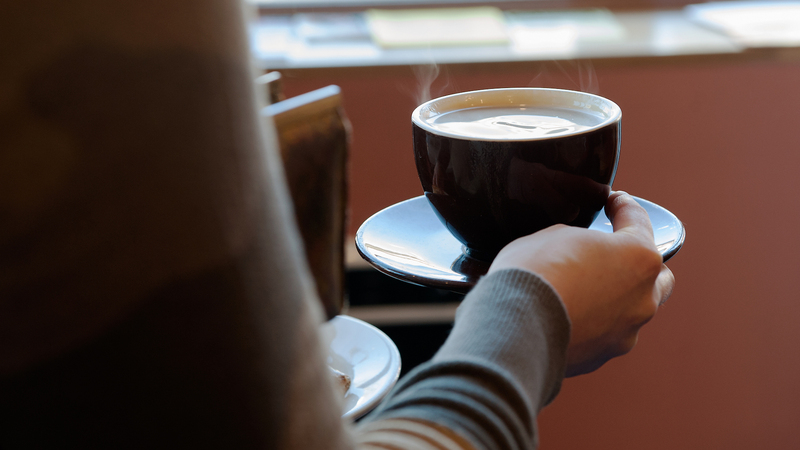 Dr. Marilyn Cornelis, an assistant professor of preventative medicine at Northwestern University’s Feinberg School of Medicine and one of the study’s authors, told NPR that the reason probably has a lot to do with caffeine itself. People may “learn to associate that bitter taste with the stimulation that coffee can provide,” she said. In short, they get hooked not on the taste but the buzz. That said, while this information may not be surprising, it is a fascinating look at how the human body and genetics work.